The National Highway Traffic Safety Administration (NHTSA) reports that most accidents occur during afternoon "drive time" (3 to 6 p.m.). NHTSA also reports that Saturday is the most dangerous day of the week to drive, primarily because more cars are on the road and there are more drunk drivers. According to the AAA Foundation for Traffic Safety, 31% of fatal drunk-driving accidents occur on the weekend, and the highest number of drunk drivers on the road is between midnight and 3 a.m. According to NHTSA, between 2001 and 2005, an average of 36 people died on our roads every day due to crashes involving an alcohol-intoxicated or impaired driver. Noticeably higher daily averages occurred during summers and holidays. During the Christmas period, around 45 alcohol-impaired traffic fatalities occurred each day, with a whopping 54 per day during New Year’s. Even though summer offers the best weather, driving conditions, and longer daylight hours, other factors can negate these benefits. According to the NHTSA, a higher volume of holiday travelers on the roads, and a radically higher number of alcohol-impaired drivers, result in nearly twice the number of traffic deaths during summer months as in the rest of the year. During Labor Day weekend in 2010, 147 Americans died as a result of drunk driving – 36% of all highway fatalities during that period. Among the “100 Deadliest Days” of summer is the deadliest of them all – the Fourth of July. When IIHS studied auto accident deaths from 2005 to 2009, July 4 won as deadliest day of the year – 144 driving-related fatalities on average. Teens accounted for nearly 10% of the fatalities. The most traveled holiday period is Thanksgiving weekend, and DUI arrests are at their highest between Thanksgiving and the end of New Year’s weekend. Many call Thanksgiving Eve “Black Wednesday,” as it forms the nexus of the largest number of vehicles on the road and the busiest night of the year for bars. The U.S. National Institute on Alcohol Abuse and Alcoholism (NIAAA) reports that 40% of traffic-related deaths during Christmas and New Year's involve drunk drivers -- 12% higher than the rest of December. 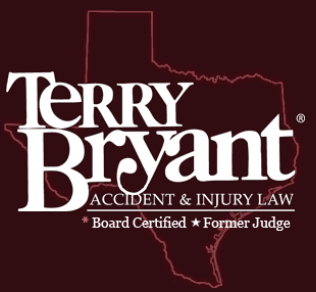 According to NHTSA, 2,597 people lost their lives due to motor vehicle traffic crashes during December 2010, an average of 36 fatalities each day. So the general lesson here is: Be especially vigilant behind the wheel during the holidays. Curiously, even if New Year’s Day isn’t the most dangerous day to drive, it may be the most dangerous day to walk. According to a 2005 article in the journal Injury Prevention, more pedestrian deaths occur on New Year's Day than any other, including Halloween. Nearly half (49%) of all pedestrian fatalities occur on Fridays, Saturdays, and Sundays. Also, almost half of pedestrian deaths involved alcohol intoxication. Of these, the pedestrian was intoxicated in one-third, and the driver was intoxicated in the two-thirds. In 2008, 69,000 pedestrians were injured in traffic crashes in 2008 and almost 4,400 of them were killed, according to the Centers for Disease Control and Prevention (CDC). Statistics show that 38% of pedestrian fatalities under age 16 occurred between 3 p.m. and 7 p.m. – the highest play times for children during weekdays.